Baby’s first tablet introduces letters, first words, animals and more! 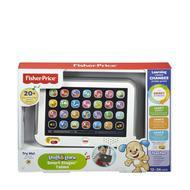 Introducing Baby’s very own tablet—the Fisher-Price® Laugh & Learn® Smart Stages™ Tablet! 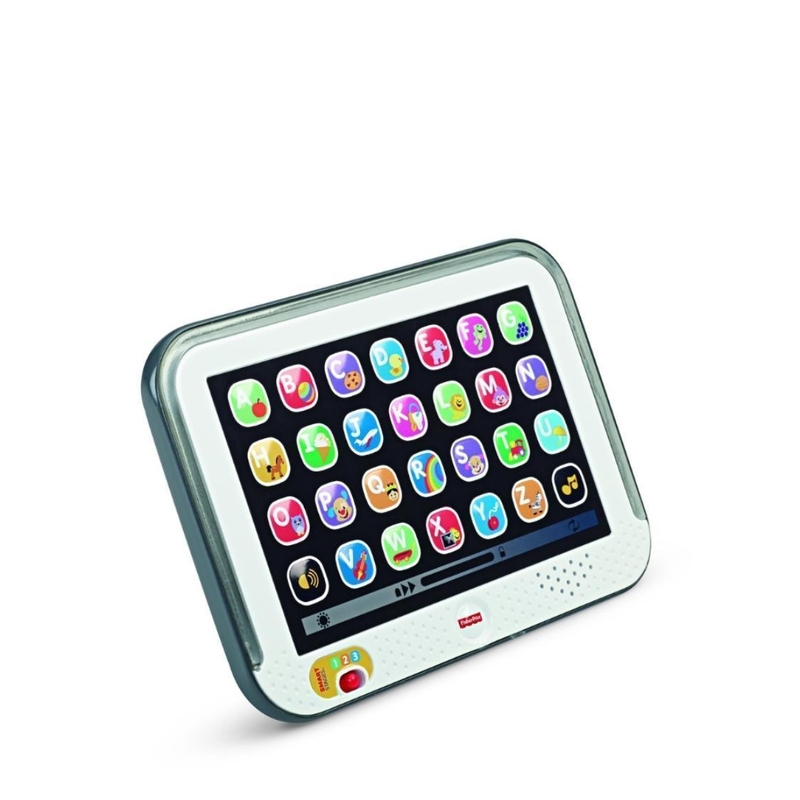 This tablet includes Smart Stages™ technology, an exciting new way to change the learning content as baby grows! Because every baby develops at their own pace, Smart Stages™ technology gives you the ability to select the stage that’s best for your child! There are a variety of developmentally appropriate songs, phrases and sounds within three levels of play. Baby can press one of 28 “app” buttons to activate sounds and music – and unlock learning about letters, first words, animals and more. 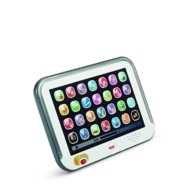 To add even more fun, the tablet screen will light up and twinkle along to the songs and phrases.